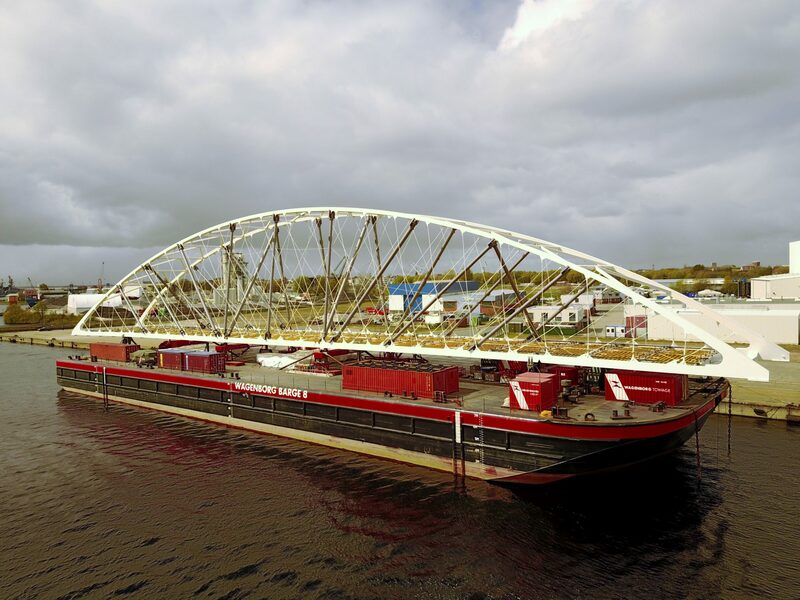 The tide arch bridge build in Wilhelmshaven, Germany has been transported by the Wagenborg barge 8 to Kirkenes, up in the north of Norway. The last missing link for the new highway E105 near Kirkenes, Norway was the Bøkfjord Bridge. 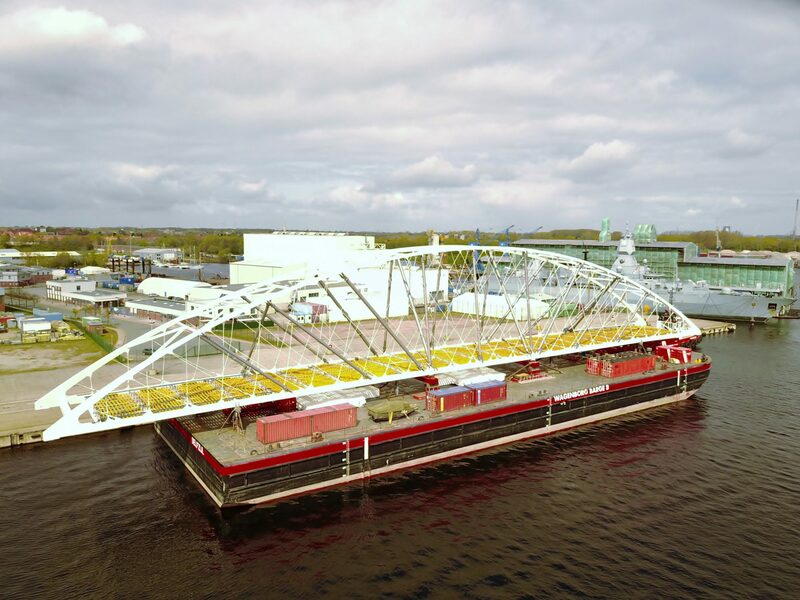 This slender arch bridge was fabricated in Wilhemshaven, Germany by Schachtbau. 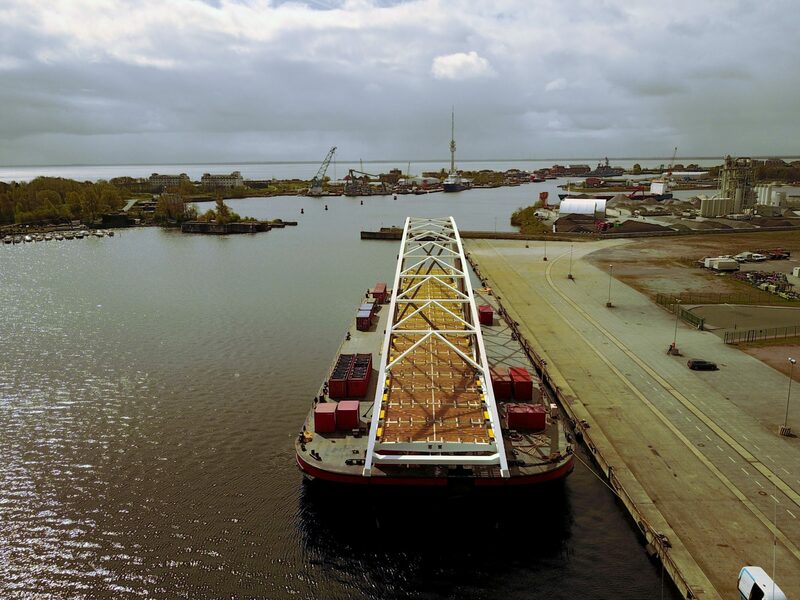 After fabrication the bridge was loaded on the Wagenborg Barge 8 and tow 3000 km North to Kirkenes. 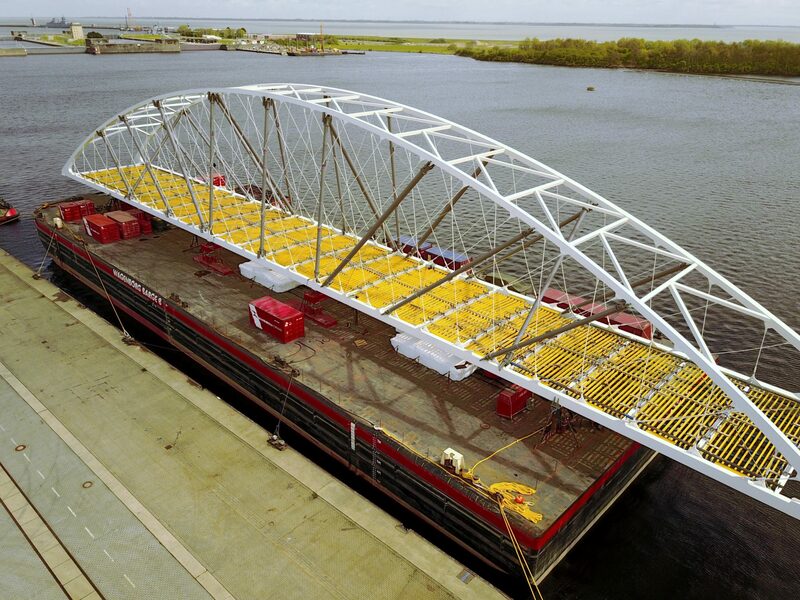 The barge was positioned and anchored in the tidal inlet and the bridge was positioned with SPMT’s. 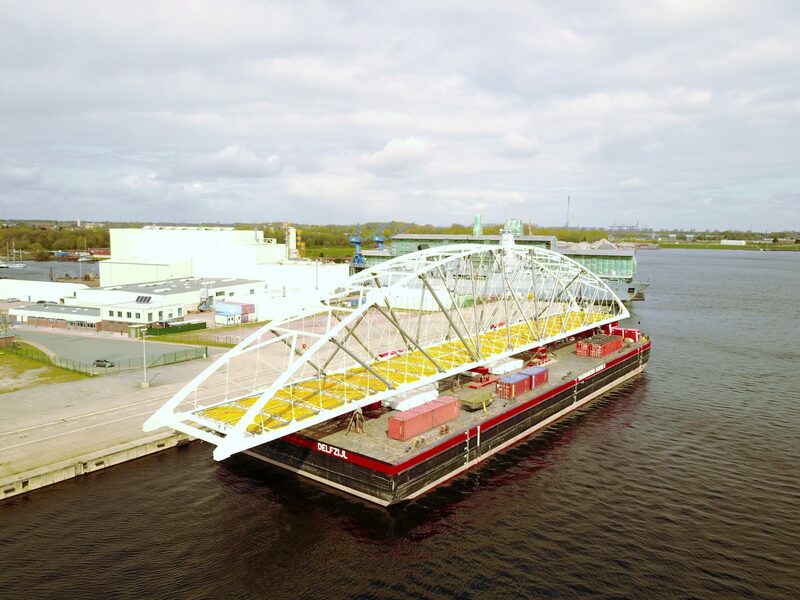 Marine Heavy Lift Partners was responsible for the design and engineering of the load spreading and sea fastening, the barge strength calculations, bridge strengening designs, anchor load calculations. For this project our client received the ESTA award. Responsibility Design of internal strenghening. 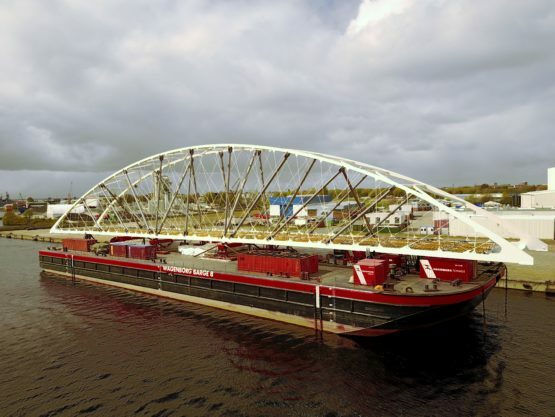 Design and engineering load spreading and sea fastening, barge strength calculations, ballast and stability calculations.